We have created these awards starting with a block of clear acrylic which is machined in our factory by one of our skilled machinists. The acrylic is sanded and polished with precise hands in preparation for the design process. 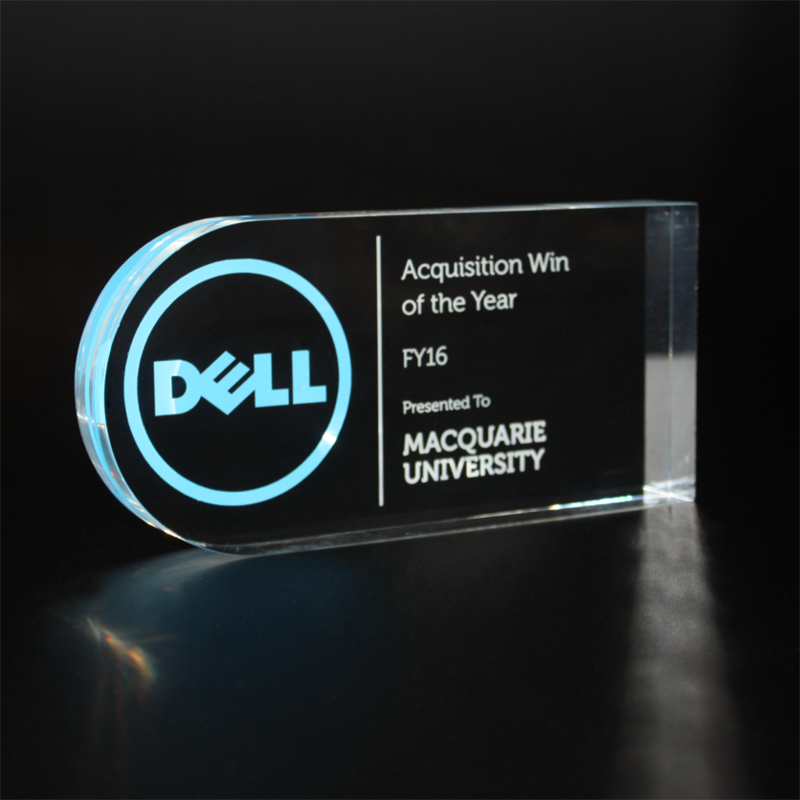 Custom cut vinyl artwork is added in the shape of Dell’s iconic logo along with the award name and winners’ details being engraved into the reverse side of the trophy. A simple yet fascinating award.